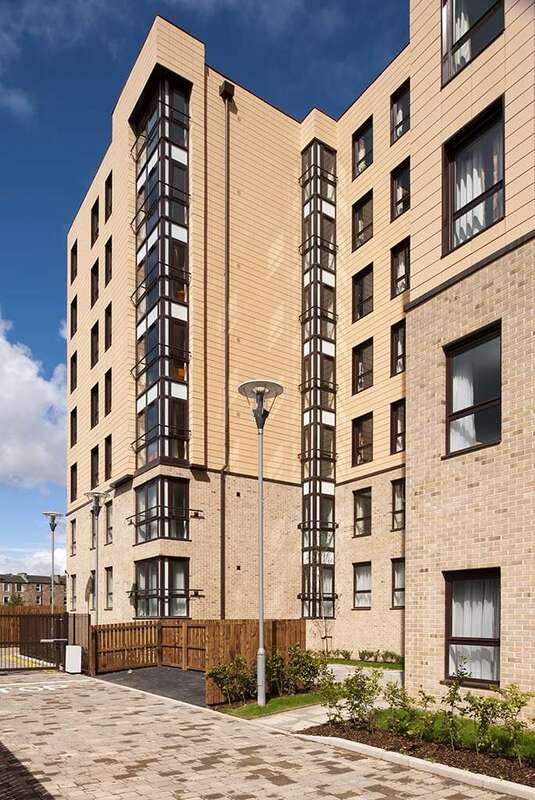 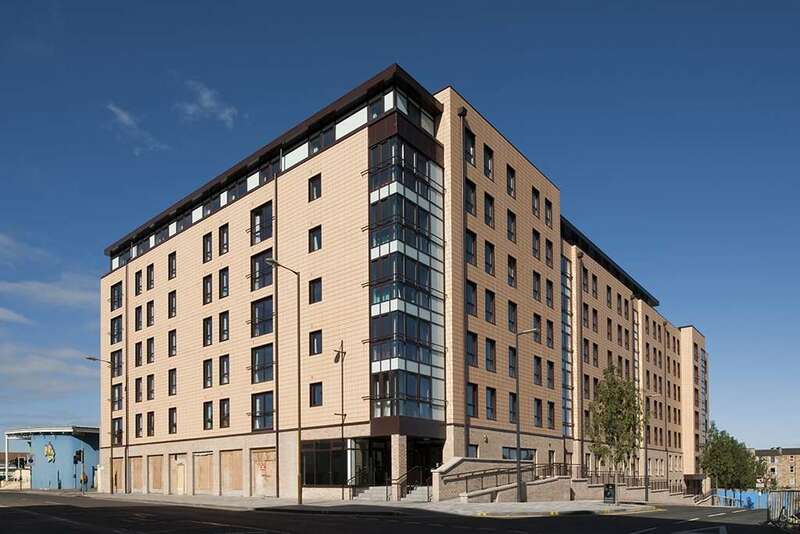 This student housing development sits on the south-west corner of the planned Fountain North Master Plan for Edinburgh. 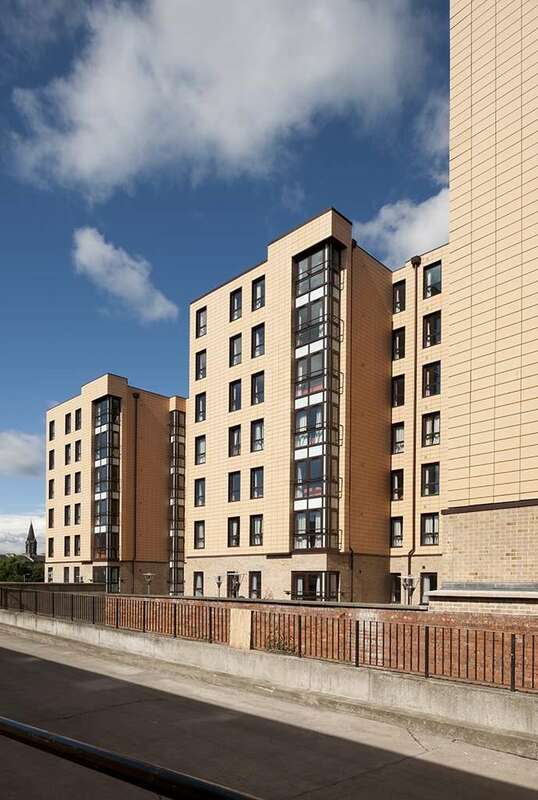 Built over 7 and 8 storeys, the project creates 314 bedrooms arranged around 47 cluster flats of 1, 4 and 5 bedrooms, each with lounge/living rooms and 103 studios of varying sizes. 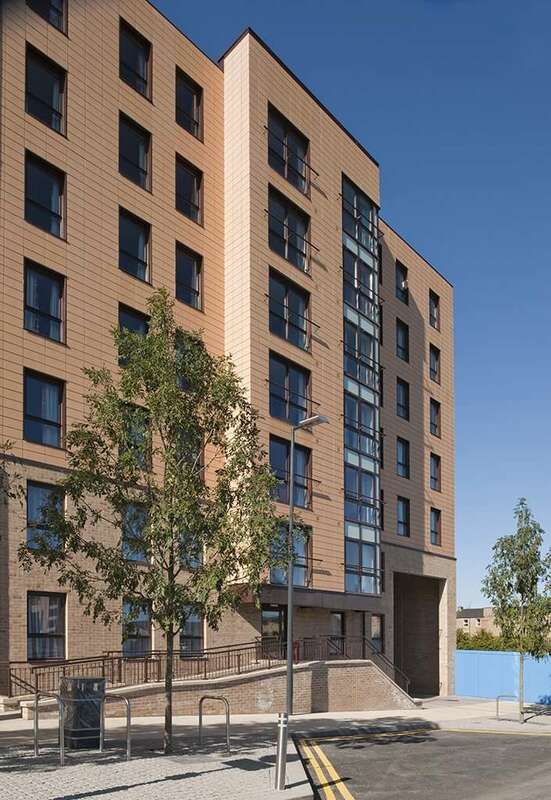 All bedrooms have pre-fabricated pod en-suites and ancillary spaces include a lower ground student social space with laundry room and plant room.